There are many opportunities out there to generate additional income on top of your 9-5 job. 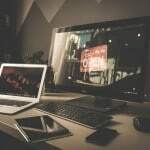 These work from home jobs and side hustles are easy to start and have the potential to provide you with a significant stream of passive income. Not only that, they can even help you retire much earlier from your day job so that you can work on your own time and at your own pace. While I’m not planning on quitting my day job right now, earning passive income from some of these legitimate online hustles and side businesses have improved my finances significantly. A few years ago, I would never have thought that just working from home could pay your bills, help you save/invest for retirement, provide multiple streams of passive income, help you stop living from paycheck to paycheck, and help you reach financial freedom! Today, I see working from home as a realistic way to achieve all these goals and more! Some of the work from home jobs in this article can easily make you up to $100,000 per year (or, even every month!). If you put in the effort to learn from those who are already making it big, these gigs can set you up for great financial success. So, what are some of the benefits of working from home? 1. 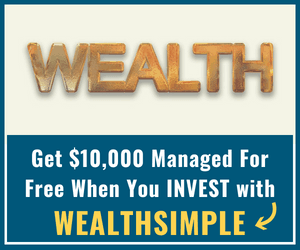 You are in Control: How much you make on a monthly basis is directly up to you. You can choose to put in just enough effort to make an extra $2,000/month, or up to $100,000+/month. There is no ceiling on how much you can earn. 2. Greater Comfort: You can choose your work schedule and when you want to sleep and wake up. Some of these gigs can be done from the comfort of your couch, in a home office, at the beach, on your bed while in your pyjamas, etc. 3. More Time With Family: When you work from the comfort of your home office, you have time to interact with family and friends. 4. Save Money: Working from home means you do not need to commute to a work location, thereby saving money on transportation costs. And, there’s no need to spend on expensive suits and work clothes. 5. Pay Off Debt: When you can earn extra income from working from home, you can pay off debt, do that home renovation, save more for retirement, splurge on yourself (all those guilty pleasures), take the vacations you have always wanted, and more. 6. Increased Productivity: You can be more productive in running your own business and seeing results. The drive for success is high since this is your business and you take credit for all outcomes. Here are some of the easy-to-start legitimate work from home jobs and side hustles you can start today to start making real money! As simple as this sounds, starting a blog can make you lots of money and does not cost a lot to set up. In fact, you can set one up right now for as low as $3.95/month. How much can you earn from your blog? A lot! Anywhere from a $2,000+/month (like this blog) to as high as $100,000 every month (like this blog by Michelle from Making Sense of Cents). Want to get started and start earning right now, I have made it easy for you to do so with this full guide on how to start your blog today. You can start making money from your blog using Bluehost and just a few dollars investment per month here. Virtual assistants or VA’s help individuals and businesses to complete tasks remotely or ‘virtually.’ The opportunities for VA’s have exploded in recent times because most small businesses are now online and they need people to manage administrative tasks for them, including, managing their emails, writing content or editing their website, monitoring and managing their social media profiles, bookkeeping, and more. 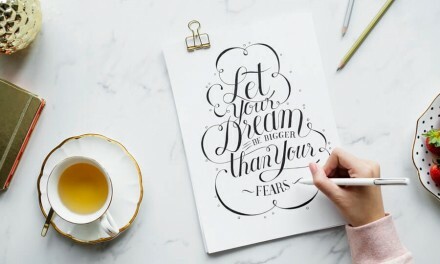 As a virtual assistant, you work from home and all you need is a computer and internet connection. How much do Virtual Assistants get paid? Anywhere from $25 to $75 per hour. Your pay is dependent on your skills and services you are able to provide. Check out these 150+ services you can offer as a VA here. You can also check out Gina’s course on how to start a successful virtual assistant business from scratch in less than 30 days. Online paid surveys can pay you up to $300 per month if you register for the right ones and are active on them. 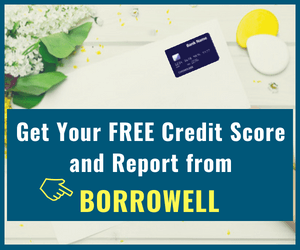 While you will likely not hit the jackpot with paid surveys and earn thousands of dollars, the extra money can go towards paying down debt or your monthly bills. i. Swagbucks: You earn when you answer surveys, shop online, search the web, watch videos, and more. 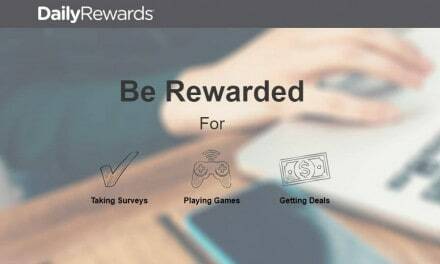 When it is time to redeem your earnings, you can choose either cash or free gift cards e.g. from Amazon, Starbucks, and Walmart. Swagbucks is legit and has paid members over $296 million to date! Related: Read my full Swagbucks Review here. ii. Opinion Outpost: This site offers opportunities to earn money by taking surveys, testing products, cash giveaways, and referring friends. When it is time to redeem your rewards, you can choose either cash (via PayPal) or free gift cards. Join Opinion Outpost (Canada) and start earning today. Or, Join Opinion Outpost (U.S. residents) and start earning. iii. Maru Voice Canada: read my full review here. Freelance writing jobs are plentiful and can supply you with a regular stream of income. Websites, blogs, and businesses need people to write for them and they are willing to pay. How much can a freelance writer earn? Beginner freelance writers earn anywhere from $25 to $100 per article (500 to 1,000 words). As you become more experienced and land bigger writing jobs, your earnings soar through the roof. Note that you do not need a university degree in journalism or a college degree at all to make money writing. As long as you enjoy writing and are willing to learn, this gig can make you money. As per the U.S. Bureau of Labor Statistics, freelance writers earned a mean of $97,300 per year (or $46.78 per hour) in 2011. Gina from the HorkeyHandbook, has a brilliant Freelance Writing Course for beginners to help them grow their business and start making money in less than 30 days. You can also check out her article on 7-steps to getting paid as a freelance writer here. Selling items on Amazon has never been easier. One popular strategy is to find a product that is selling for cheap elsewhere and then sell it on Amazon at a higher price. 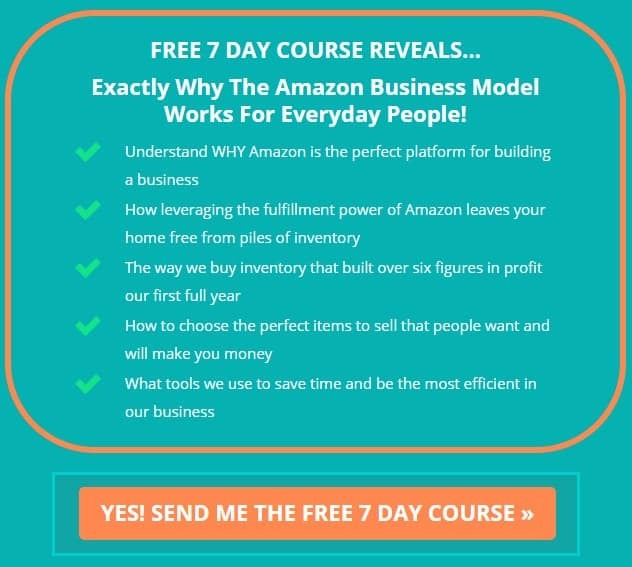 Even better, you leave most of the logistics to Amazon to deal with, in what is popularly known as FBA (Fulfilled by Amazon). They do the packing and shipping for you! If you are a deal finder, this gig is perfect for you! Jessica from The Selling Family is just one of many others who routinely make six-figure incomes selling on Amazon. You can also sign up for her Amazon Bootcamp training course. Are you good at detecting errors in a write-up, including grammatical, punctuation, spelling, typographical, formatting, and other errors? If so, proofreading is for you! Proofreaders are in demand because people/businesses need another pair of eyes to look over their writings (or publications) and to turn them into masterpieces. How much can a proofreader make? Proofreaders can easily make $2,000+/month working from home or anywhere for that matter. If you become specialized in certain niches, such as court reporting and transcript proofreading, you earn even more money. Caitlyn from proofreadanywhere.com has built a six-figure income business from proofreading. She shows you how you can earn thousands of dollars every month proofreading in her FREE 76-minute workshop here. Online tutor jobs are now a popular way to work from home and earn some good income. In many countries, particularly China, people want their children to learn the English language. Online English tutors earn anywhere from $14 to $26 per hour and the awesome part is that you do not have to leave your house. One of the most popular sites for online tutoring jobs is VIPKID. If you have a Bachelor’s degree, a computer, and a stable internet connection, you can sign-up to become an English tutor today. VIPKID will pay you up to $22 per hour. You can check out the requirements for becoming an online tutor here. As a transcriptionist, you can work part/full time from the comfort of your home. 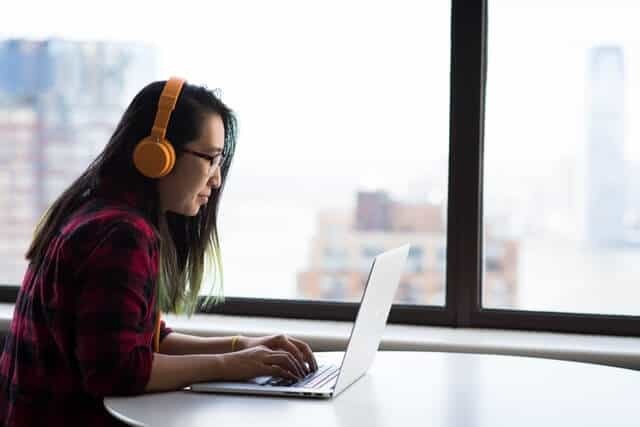 Depending on your skill level and educational background, you can simply work as a general transcriptionist, or specialize in niches like legal or medical transcription. How much do Transcriptionists get paid? Transcriptionists get paid $15 to $25 per hour. Those who transcribe medical and legal stuff earn more on average. If you are serious about making real money from transcribing audio, you should check out Janet’s FREE 7-lesson Mini-Course. This mini-course gives you an insight into the transcription industry and what you need to get started. If you love animals, this is an awesome way to make some dollars on the side. Their app makes your dog-sitting business easy peasy. They also protect your services up to $1 million and provide 24/7 support. Start earning extra income dog-sitting today here. 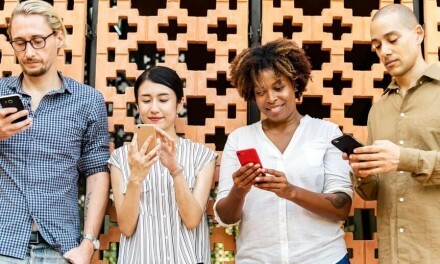 You can earn money without doing anything new – simply using apps that pay you back every time you do your normal shopping! Some of these cash-back sites will pay you as much as 40% of your purchase amount back and no work is required from you – NO clipping of coupons!! 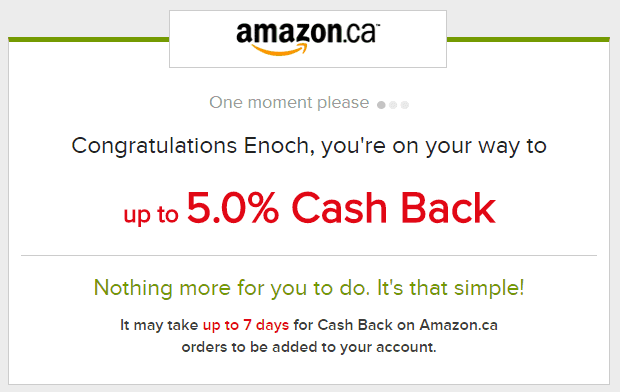 i. Ebates: I use this cash-back app a lot when shopping at my favourite online store (Amazon). Ebates pays cash-back for purchases you make from over 2,000 popular stores. All you need to do is sign-up below (+bonus gift), visit the store of your choice using Ebates, and get your cash-back. 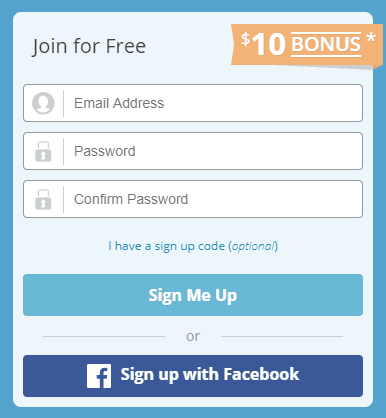 You can sign up here to receive a $10 welcome bonus (for U.S. residents). Or, sign-up here to get a welcome bonus of $5 (Canada residents). ii. Drop: The Drop app pays you whenever you shop at five of your chosen retailers and restaurants. Simply link up your card and anytime you shop, the app automatically tracks it and rewards you with points you can redeem for hundreds of gift cards including Starbucks, Amazon, Gap, Old Navy, Harvey’s, The Keg, Lululemon, Sephora, Chapters Indigo, iTunes, Swiss Chalet, Cineplex, Groupon, and more. You can also read my full Drop App review here! iii. Checkout 51: This is one of the best apps to earn cash back when you purchase groceries. I have received cash-back offers as high as 35%. Withdrawing your cash reward is easy once your balance reaches $20. Checkout 51 is available in the U.S. and Canada. Easily sign up for a Checkout 51 here and start earning cash rewards on your groceries and other household purchases. You also get a $5 welcome cash bonus! Related: Read my full review of Checkout 51 here. 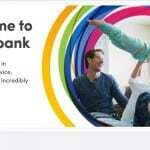 Join TopCashback here and start earning today! Caddle (Canada): earn when you shop for groceries and also for taking surveys and watching videos. MyPoints (U.S.): get paid to shop at more than 1,900 stores. Savingstar (U.S.): earn cash back at over 100,000 stores. If you are creative and understand colours, shapes, textures; like drawing, and are skillful at designing things, a career or side gig in graphic design may be for you. Some of the projects people are wanting to pay you to design include logos, business cards, brochures, web graphics, adverts, posters, and more. If you know how to use Adobe Creative Suite (Photoshop, Illustrator, and InDesign), you can do a lot and make money. Even simple skills like using drag-and-drop tools like Canva, can go a long way to cash in some moolah! How much do Graphic Designers get paid? According to the Bureau of Labor Statistics, the average graphic designer earns more than $45,000 per year (or $22 per hour). Some of the places you can find graphic design jobs include Freelancer, 99designs, Fiverr, and Upwork. If you are all about living frugally to save more money, this opportunity is for you. If you have an empty room in your home, you can rent it to guests who are pre-vetted on Airbnb. Airbnb covers you with their FREE $1 million Host Protection for liability, including property damage, and they have strict rules that guests must adhere to. Are you going on vacation? You can rent out your entire home to host guests for a short-term stay. How Much can you earn with Airbnb? Anywhere from a few hundred to several thousand dollars every month. Visit here to learn how to become a Airbnb host today! You can put your car to work in the ride-sharing economy and earn some good income. A car is a fast-depreciating asset that is often more a liability than an asset. However, when you sign up to drive for Lyft or Uber, you put your car to work and it becomes an income-producing asset. To become a driver, you will need to be at least 21 years old, have a valid driver’s license, and have a car that passes the basic inspections. You will also need a smartphone. With Uber and Lyft, you choose your own schedule and when you want to drive. Their apps directly match you with prospective passengers and they pay you automatically using the app. Join Lyft today and start driving and earning! Join Uber here and start driving and earning! With the income earned from these gigs, you can pay off credit card debt, buy a home, pay off your mortgage early, go on vacations around the world (while working remotely), invest and save, retire early, and become your own boss! Start earning today! Great write-up and thank you for the summary list at the end.